Spring is hands down my favorite time of year. I love it when the snow finally melts, and the little flowers start to break through the cold earth. The sun is awake longer, and the days begin to be brighter and warmer. There is new life all around, and I feel such a sense of hope and happiness. Naturally I love to decorate for this beautful season. 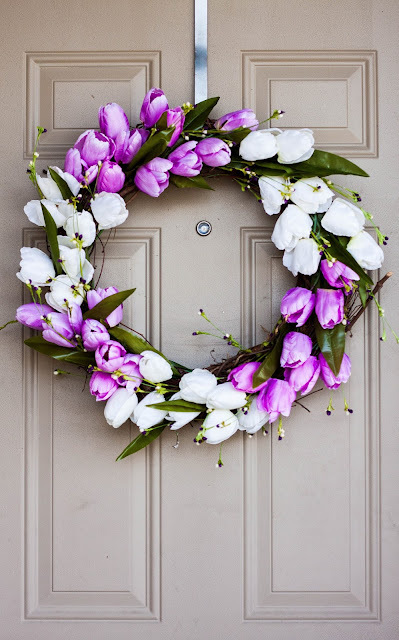 Thank you Hobby Lobby for sponsoring this post and helping me welcome spring. 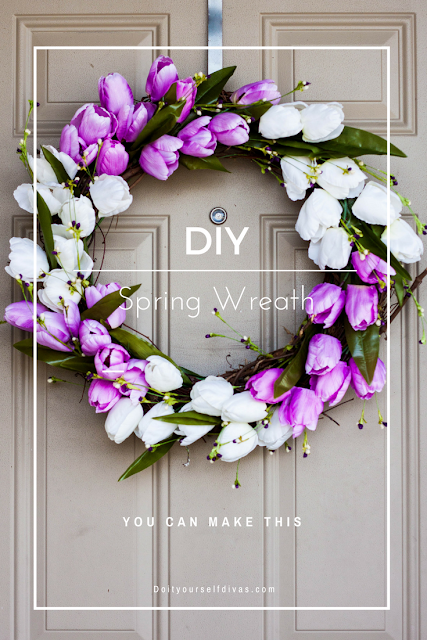 With the help of Hobby Lobby, I was able to create the most lovely spring inspired wreath to hang on my front door. Don't worry. I have a tutorial for you, so you can make one too! 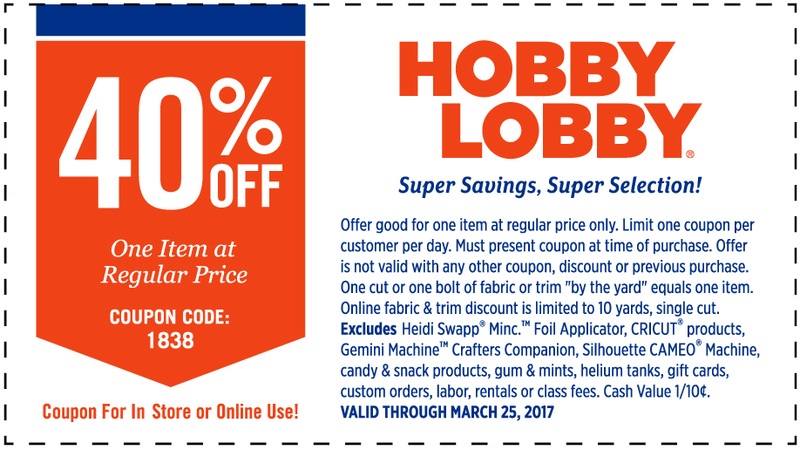 Lucky for me, there is always a Hobby Lobby coupon, to make decorating for each season a breeze. In fact we have a coupon just for you, our readers, at the end of this post. 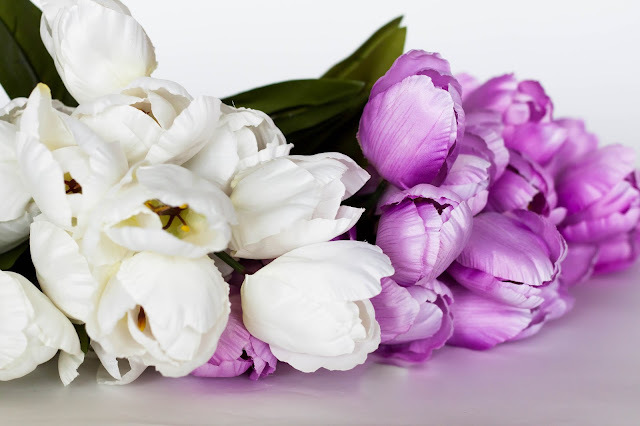 I picked up four bunches of silk tulips, two purple and two white. Hobby Lobby did have a huge selection of varying colors. The skies the limit on the color combinations that you could use. These little cuties were a must. 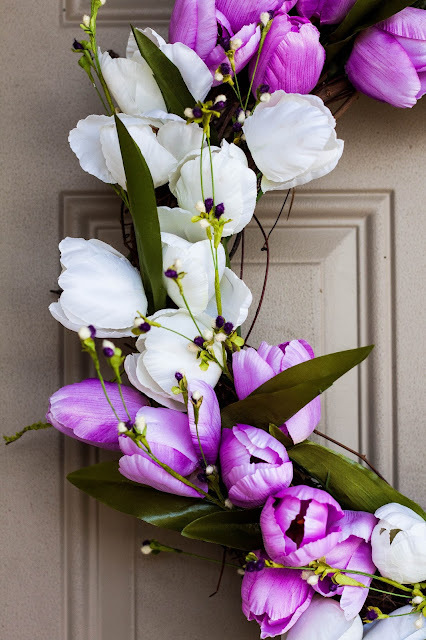 I thought these buds would be the perfect filler for my spring wreath and would tie the two colors of tulips I purchased together perfectly. 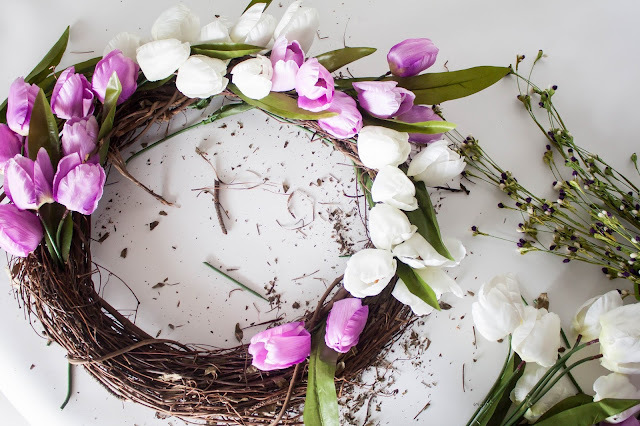 Finally I picked up a grapevine wreath. 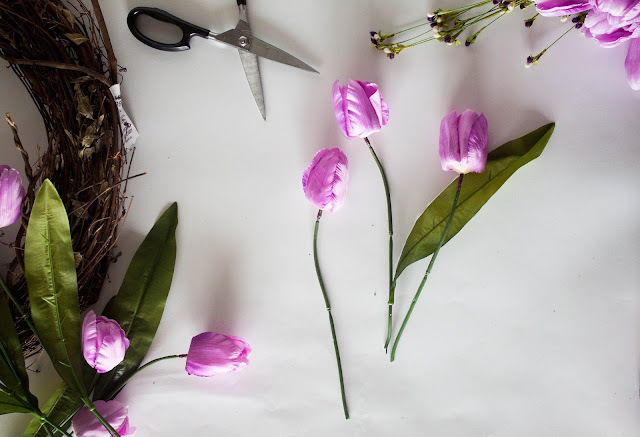 To start, I simply cut each stem of each flower a part. This did take a bit of work and would be much easier if you have wire cutters rather than plan old scissors like I did. 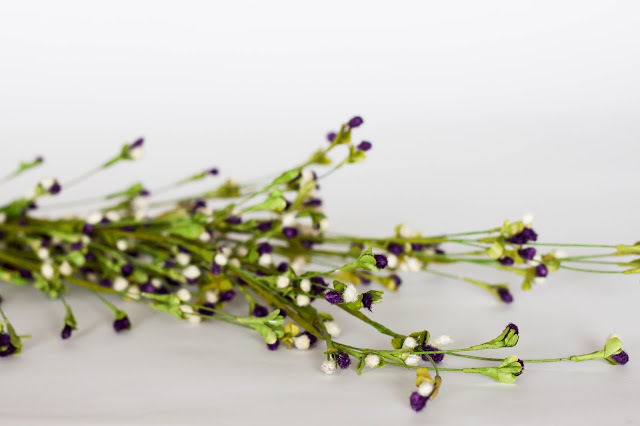 Keep as many green leaves attached to the stems as you can. They act as a beautiful filler. Notice how I left the stems long. 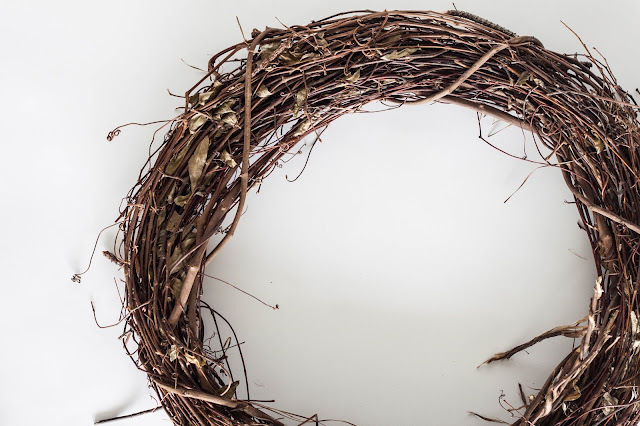 This allowed me to simply stick the stems through the grapevine wreath. I didn't use any floral wire or even hot glue. 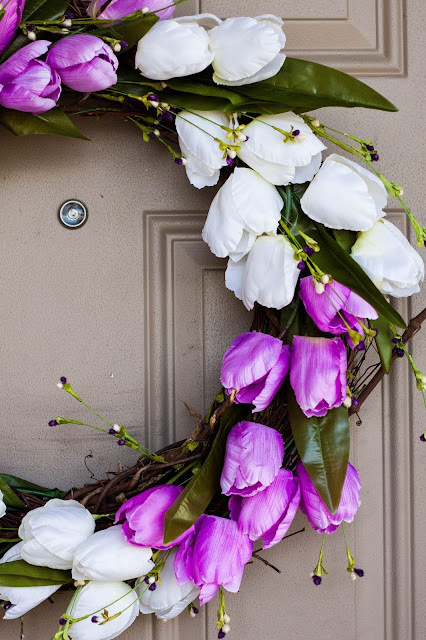 I found that simply sticking the stems through the wreath and weaving them through the back to secure the flower worked wonderfully. Stick those buds in anyway you think looks lovely. 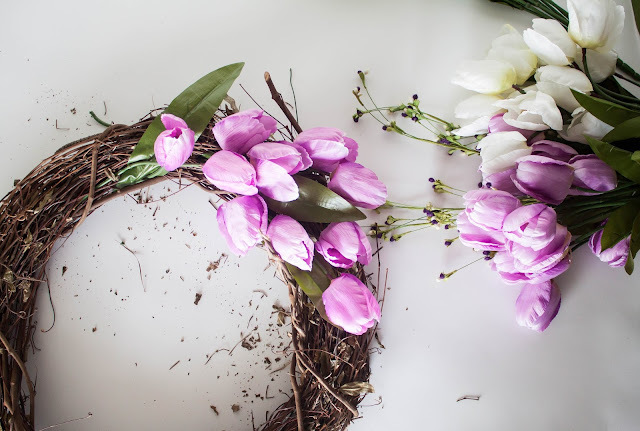 Lastly I added in the cute little sprigs, the same way I did the tulips. Also while at Hobby Lobby, I picked up a couple of yards of this darling buffalo check print fabric. 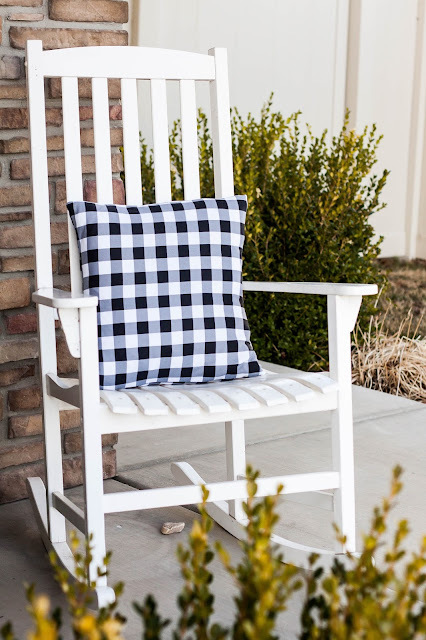 I whipped up a couple of throw pillows and now my rockers are ready for some front porch sitting. 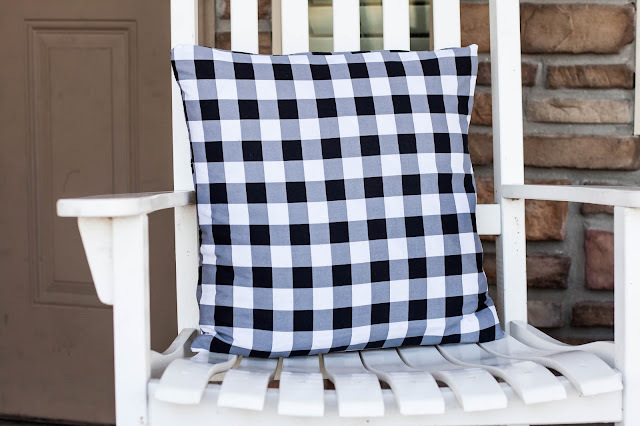 Interested in making these simple enveloped pillowcases? Don't worry, a tutorial is coming soon to a blog near you. 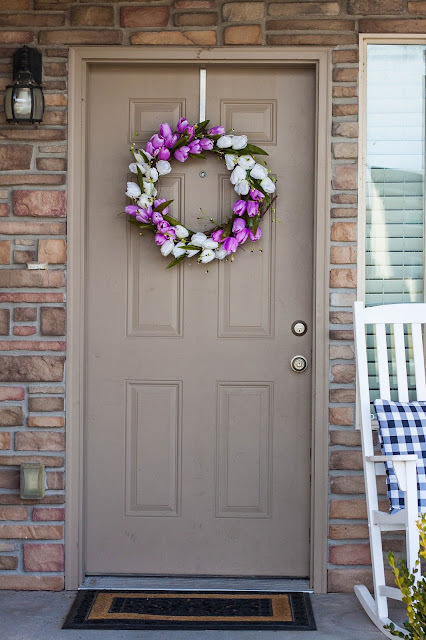 Thank you Hobby Lobby, for helping me make my front porch ready to welcome spring. I couldn't have done it without you!